1. To replace the battery, pry the existing battery out of the Mainboard and press a replacement down firmly in to the socket. IMPORTANT: The TouchPad is supplied as part of the Upper Cover. If the TouchPad is defective, replace the entire Upper Cover. 1. Insert the board into the Upper Cover. Take care to align the mounting pins with the holes on the board. 2. 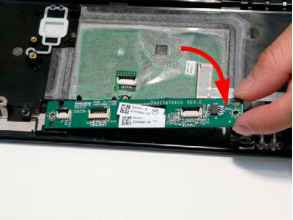 Remove the two screws securing the TouchPad Board in place. Insert the FFC through the slot in the Upper Cover and adhere as shown. 4. Connect the Mainboard FFC to the TouchPad Board and close the locking latch. 5. Connect the TouchPad FFC to the TouchPad Board and close the locking latch. 6. Connect the TouchPad FFC to the TouchPad and close the locking latch. 1. Insert the tabs in the bottom of the fingerprint reader bracket into the upper cover and rotate the bracket into place as shown. 2. Insert the two screws to secure the bracket to the Upper Cover. 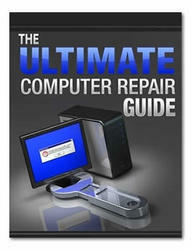 Slide the Touchpad board under the securing tab and place into the Upper Cover. Connect the Finger Print Reader FFC to the TouchPad and close the locking latch. 4. 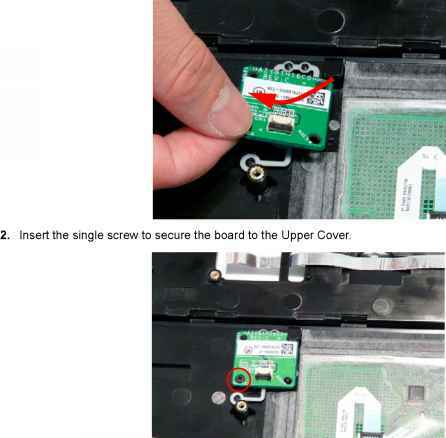 Connect the TouchPad Lock Board FFC to the TouchPad Lock Board and close the locking latch. 5. Press the FFC onto the adhesive in the Upper Cover to secure it in place. 1. Place the media board into the Upper Cover and press into place to secure the Media Board to the Upper Cover. 3. Connect the Media Board FFC to the Media Board and close the locking latch on the FFC. 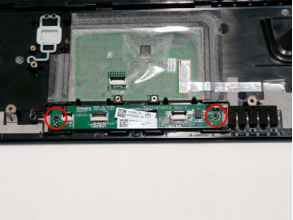 How to repace acer aspire 7730 battery? How to replace aspire 5535 rtc battery? How to replace acer aspire 6530 battery? How to replace rtc battery on aspire 4315? Where is "rtc battery" "aspire 8930"?